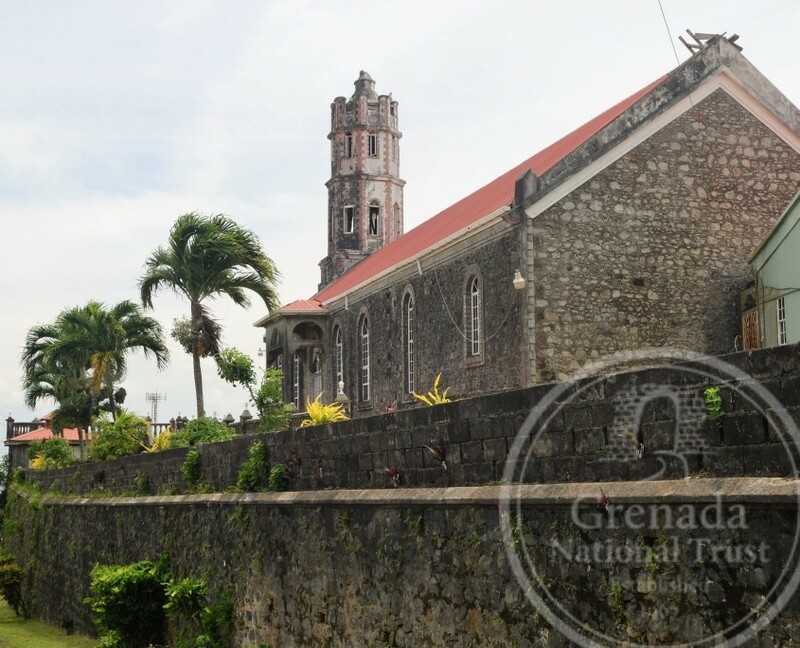 St David’s Parish (47 km2/18 mi2) is the third largest after St Andrew and St George, nestled in between the two. 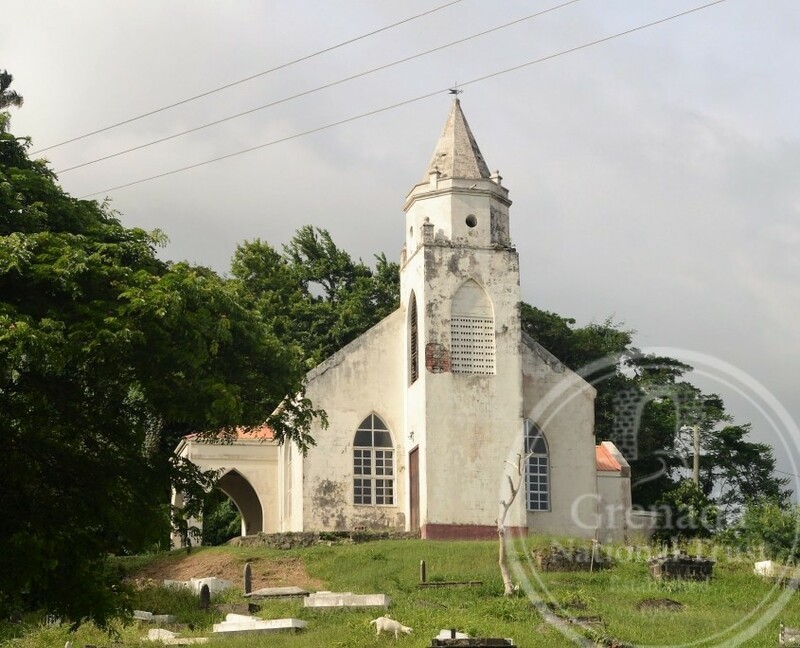 Unlike the other parishes, it does not have a coastal town, but government institutions like the police and post office, churches and commercial banks are located at St David’s Town inland. 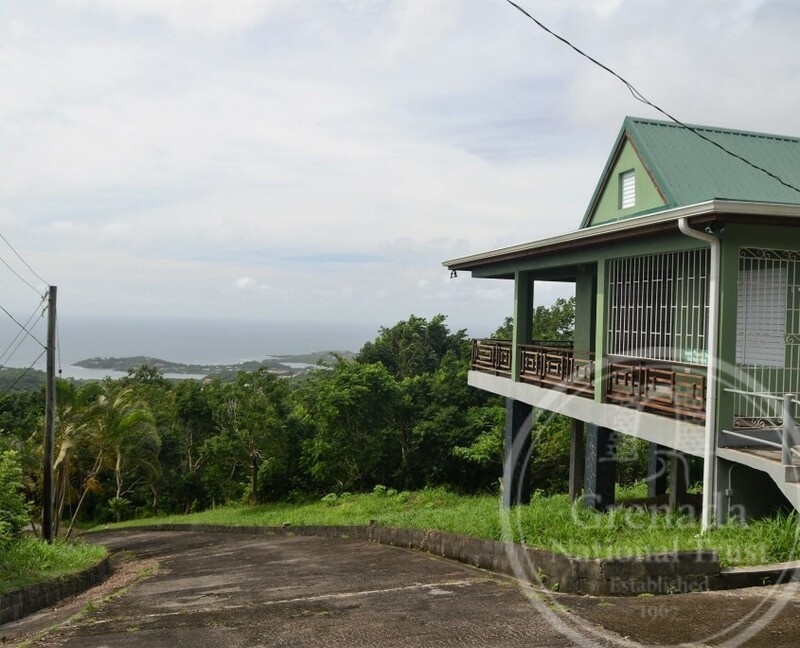 Its population of roughly 11,000 people live in villages like Westerhall, Perdmontemps, Bacolet, La Sagesse, Corinth and Thebaide, but developments since the 1950s have created grand residential communities at Westerhall Point and Belle Isle. 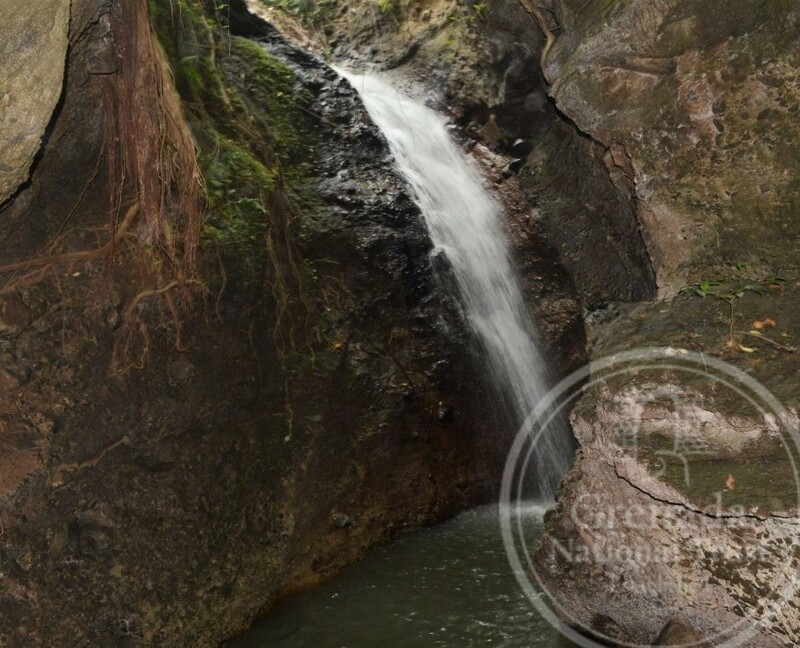 The parish has a rich and long history, illustrated by Amerindian archaeological sites at La Sagesse, Latante and Grand Bacolet Bays, and historic Carib/Kalinago carbetsor villages at Galby Bay and Petit Bacaye. 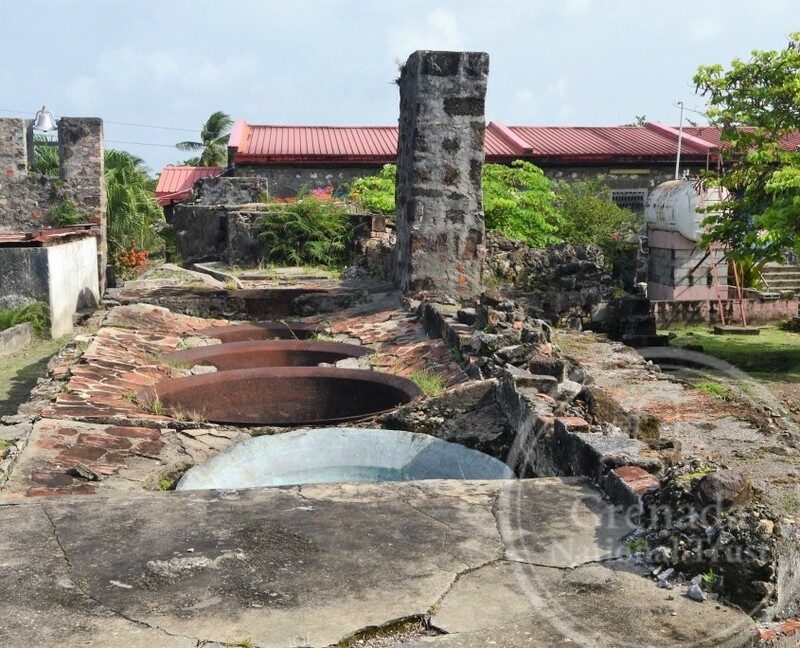 It was occupied by the French by the early 18thcentury after displacing the Kalinago, established plantations in the Quartier du Megrin(later St David after the patron saint of Wales)using enslaved Africans at Westerhall, Bacolet and La Sagesse estates. 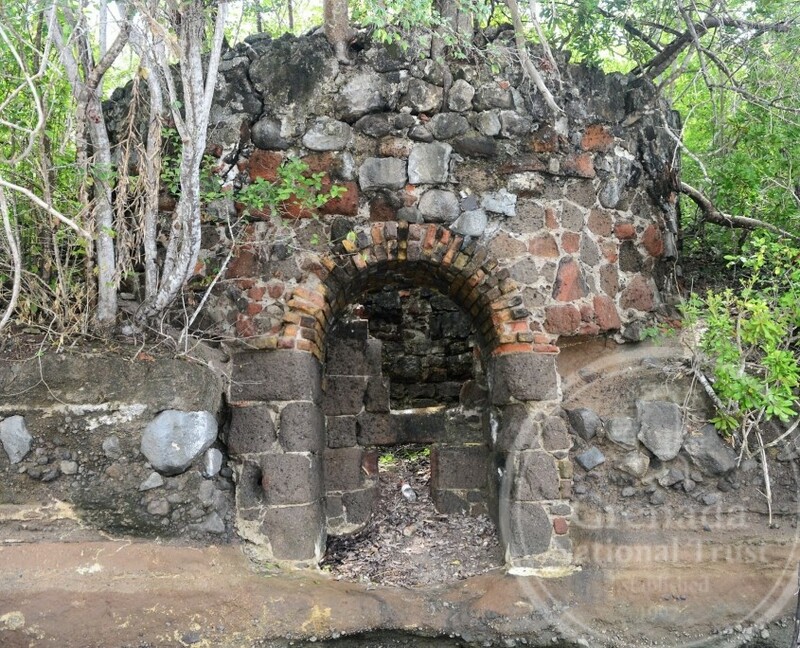 Under the French a small coastal town, Bourg de Megrin, was established at St David’s Point by 1735, but is now in ruins. 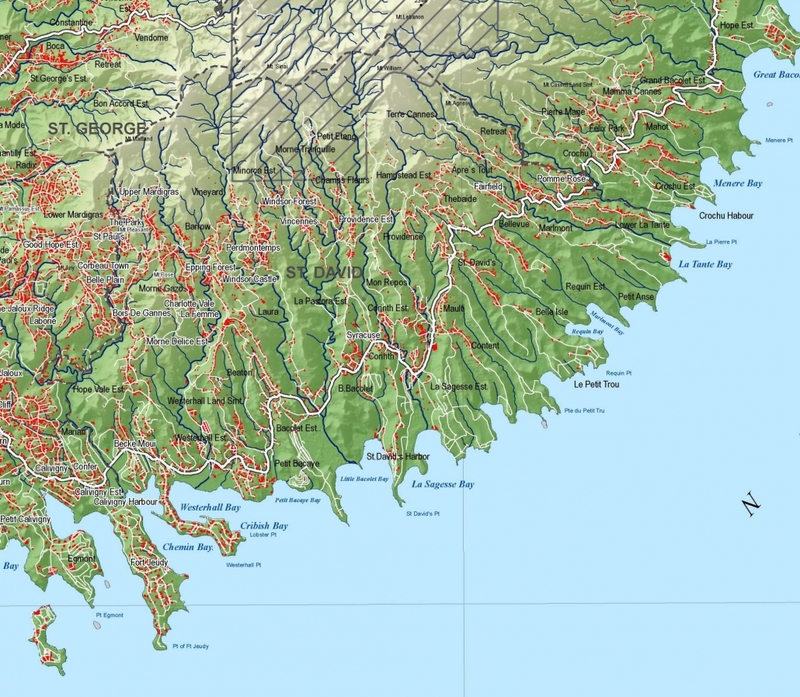 In the 18thto 19thcenturies Requin Bay acted as the central port for the area. 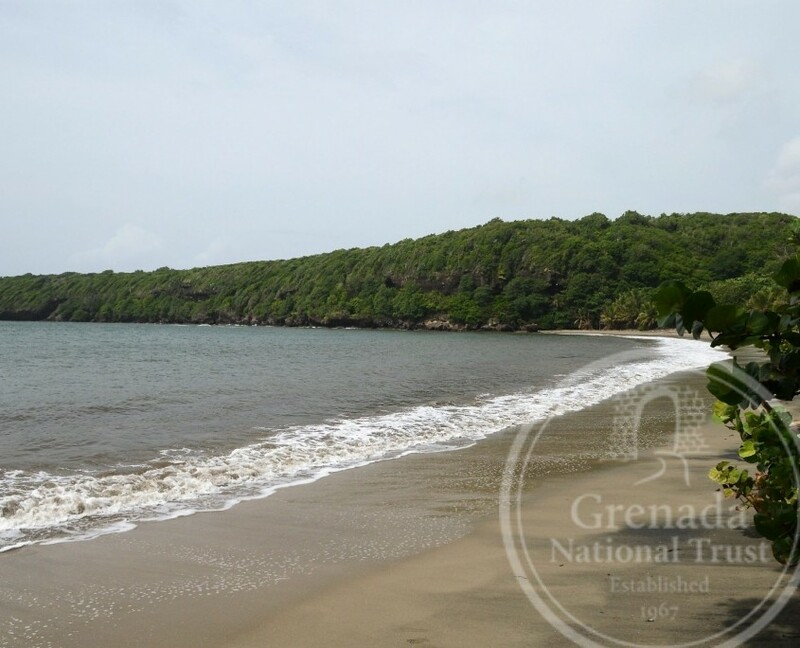 Lying towards the southeast of the island, its rugged coastline is lined with hidden coves graced with beautiful, unspoiled beaches like La Sagesse and Petite Bacaye. 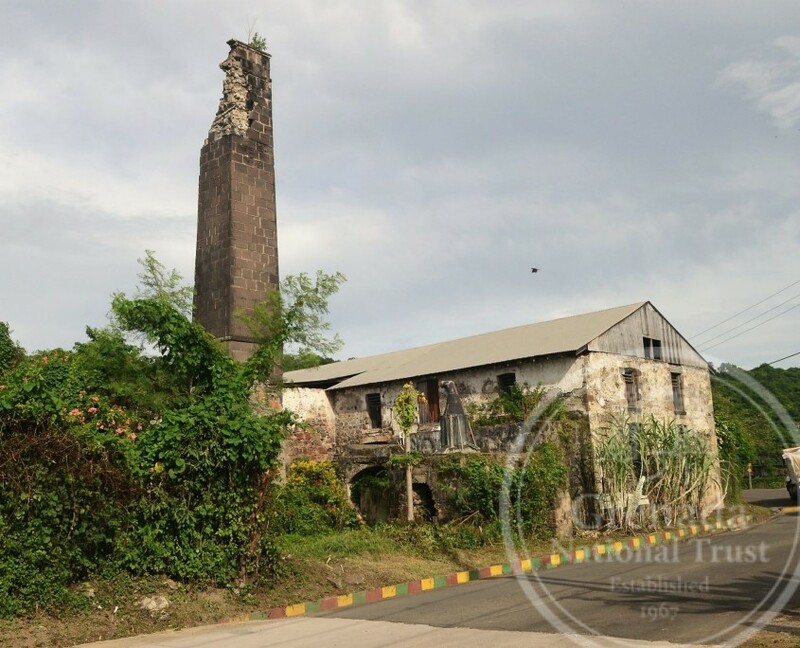 It is one of the few remaining areas where sugar cane is still grown for the manufacture of rum. 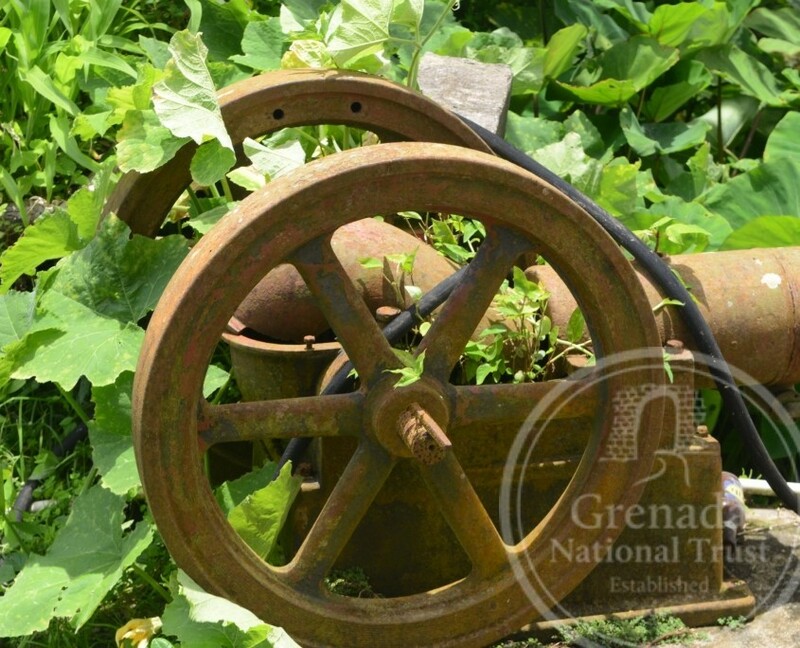 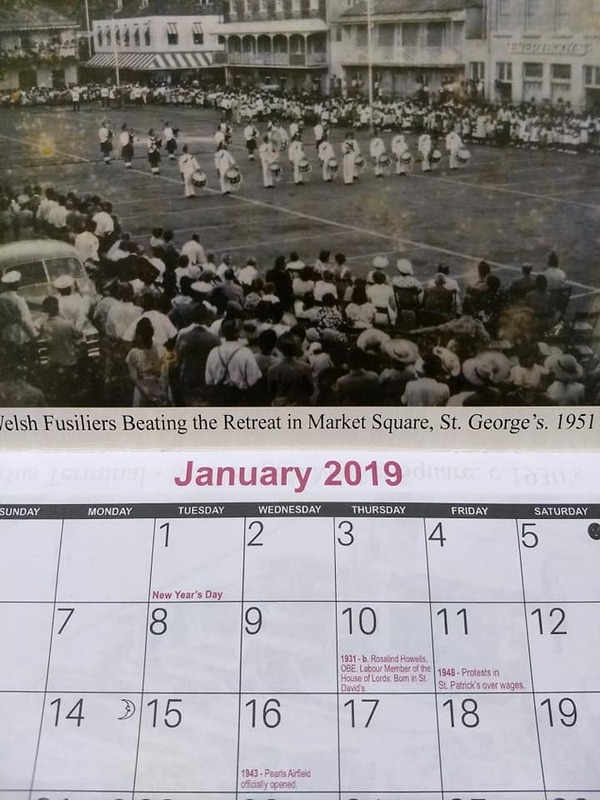 Since 1987 the St David’s Day Planning Committee has organized the St David’s Day Celebration to exhibit the natural beauty and culture of this rural parish that has not been recognized for its primary role in the establishment of spices in Grenada, particularly nutmeg. 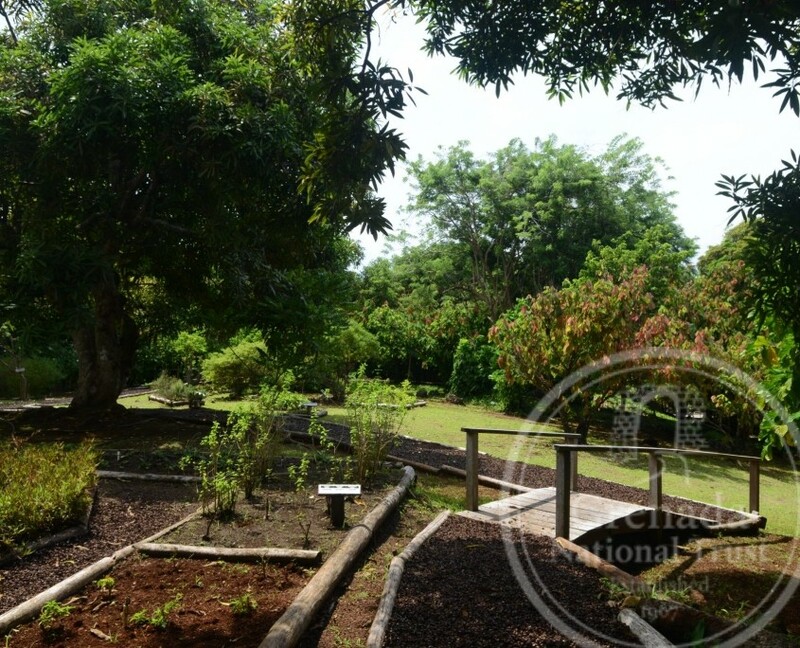 Thus, the Spice and Herb Garden at Laura is a fitting tribute to that history.